When I walked into this movie I didn't really know what to expect with Justin Lin at the helm. Unlike everyone who hates the Fast and Furious franchise for no apparent reason other than it's still going strong, Justin Lin was the driving factor in making it into a film series about something other than cars. So when it was announced that he was going to be taking over for J.J. I didn't have worries about what he could do, I just wanted to know how he was going to do it. It could have been just like the first trailer that debuted and had all of the fan boys in their feelings about the series, or it could have been what it was: a good movie. I heard that they wanted to get back to the root of what Star Trek is, exploring the human psyche while dealing with the infinite darkness called space. This film covered a lot of ground and many different themes in a unique way that worked for this movie. When the end came it was definitely a nice plot twist to me since I thought Idris Elba character should have introduced Klingon into the new Star Trek fold. But the route that they went with the characters were excellent with everyone progressing in their roles quite nicely. Well except Bones, he doesn't need to change a bit. The special effects were superb, a part of me wished I would have seen it in IMAX 3D, but I'll settle for 4K resolution when the DVD comes out at the end of the year. I'll say that the starbase Yorktown looked pretty damn cool when it was finally shown. The attack sequences were also equally as cool looking with the best moment coming from when the Enterprise was attacked. 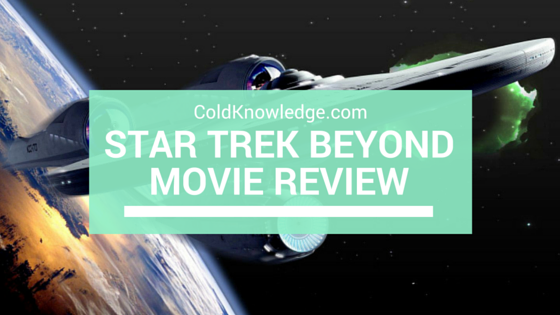 If you're looking for a movie that doesn't look like it was CGI to death, then Star Trek Beyond is a great place to start. It definitely looks way better than it's predecessors, which is always a good thing. This movie gets an A from me. It's definitely up there for movie of the year in terms of solid plot, special effects and character development. Every since the first film in 2009 I always expected this movie franchise to be good. With this entry it definitely doesn't let up with that and I'm interested to see where they are going to go with it after this one. There was only one cheesy part and that was toward the end and that was very brief after a certain point passed. The only thing that put a bad spin on this movie is the passing of both Leonard Nimoy and Anton Yelchin, both very important people to this film franchise. It's not going to be the same without them at all. If you've seen this movie then tell me how you liked it in the comments below, I'm definitely looking forward to reading what you have to say about it.